A refreshingly candid documentary film, Cheryl Furjanic’s Back on Board follows four-time Olympic champion Greg Louganis over the past three years as he struggles with financial security and reunites with the sport he once dominated. With unprecedented access, the film reveals the complicated life of an athlete whose grace, beauty, and courage sparked a worldwide fascination with diving. 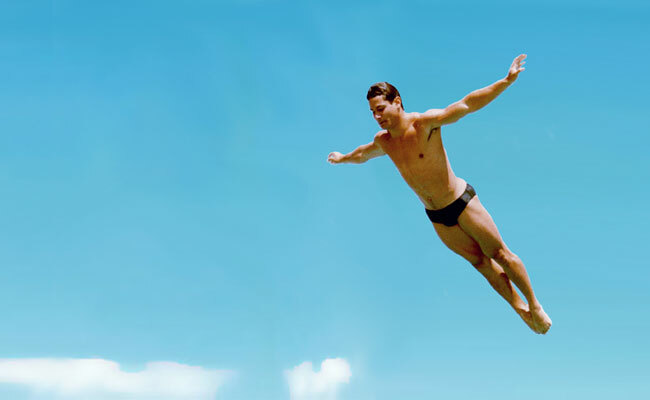 It chronicles Louganis’ rise from a difficult upbringing to nearly universal acclaim as the greatest diver ever, and from pioneering openly gay athlete with HIV to overlooked sports icon. What inspired you to tell this particular story? How did you first connect with Greg? 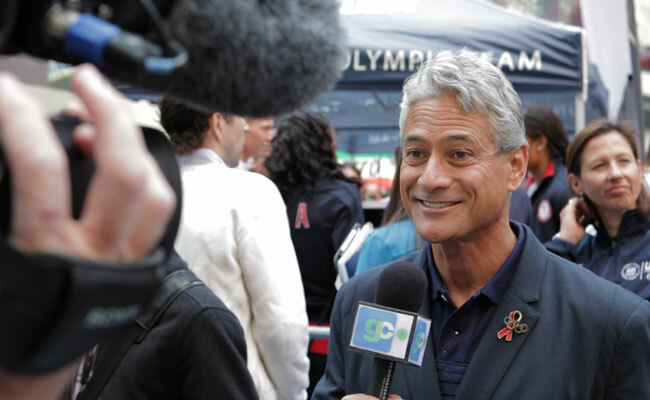 Will Sweeney (producer/co-writer): I read a newspaper article that said that Greg Louganis was returning to the world of diving after a 20-year absence. I thought to myself ­there must be a story here. Why would the world’s greatest diver not be involved with the sport he made famous and dominated? My gut was that this would make a good documentary and I reached out to Cheryl. We had gone to NYU film school together and I had a feeling this would be a subject that would play to our strengths. We started researching Greg’s life and cold­-called him. He was incredibly open from the beginning, and we were probably shooting with him within weeks of our first contact with him. The film paints a quite intimate and very candid portrait. How did the two of you develop the necessary level of comfort in working together? Did you slowly gain access, or was Greg open to you creating your vision from the start? Cheryl Furjanic (director): When we first began speaking with Greg, I showed him my previous film Sync Or Swim—about the US Olympic synchronized swimming team’s journey to the Olympics. He later told me that seeing that film is what got him to trust me to make a film about him. Greg was very open with us from the start. But in many ways, the Greg we were seeing was the “press ready” version. He had been sharing parts of his story for many years, but we knew we wanted to go deeper and go someplace new with him. What I think helped a great deal was time. He and I spent a lot of time together, but also we made the film over a long enough period of time that he and I got to know each other very well. I am based in NY and Greg is in LA, and we would spend hours on the phone together in the weeks in between shoots. This allowed us to stay connected even though we weren’t seeing each other as often as I might have liked. I think from early on, Greg was open to our ideas of what we wanted to do. But also, much of his story was unfolding as we shot the film, so we were both open to the process and were flexible in our approach. It definitely feels like we were always in it together, and I think that is the intimacy you see in the film. How has the acceptance of homosexuality in diving changed both publicly and internally in the years since Greg’s professional career? Cheryl Furjanic: Part of the reason I wanted to make this film was that there were very few stories in mainstream media of LGBT folks when I was growing up. And as a young person, I was starved for images of people “like me.” Thankfully things have gotten better in terms of positive LGBT representation in media. While it’s true that homophobia—in diving and in society—is not as pervasive as it was when Greg was competing, we are still a long way from acceptance. I did not expect to see Jason Collins and Michael Sam come out in major U.S. sports while we were making this film. And watching beloved British diver Tom Daley come out recently and be met with, for the most part, an outpouring of support was incredible! Just recently he signed a big endorsement deal with Adidas. That would never have happened when Greg was diving—sponsors were afraid to be associated with athletes who were even perceived as gay, then. Greg is the greatest diver of all time, and it’s hard to see how much he struggled—then and now. And I think that some of his recent financial struggles are echoes of that past. What would you like audiences to take away from your film? What has the response been so far? Will Sweeney: We want audiences to appreciate Greg’s incredible resilience. We want Greg to be recognized and honored in the pantheon of great athletes. And we’d like for his story to be cemented in American history. His life has been connected to so many important moments such as gay rights, AIDS crisis, the Cold War, and the housing crisis. It is inspiring to see how much he has had to overcome and still survive and in many cases ­thrive. I think that is something that people can relate to. The response to the film has been unbelievably positive from both audiences and critics. Greg’s triumphs and struggles are so powerful ­ I think that people get emotionally engaged with the film in a way they don’t expect from a documentary film. Cheryl Furjanic: If you want make a film, do it! Don’t let anything stand in your way. Borrow some equipment, gather up some friends and begin! Tell the story you want to tell! Start today! Will Sweeney: Never give up. Never. Back on Board will have its New York premiere in the World Cinema program at HIFF 2014. Find tickets. Follow Back on Board on Facebook and Twitter. 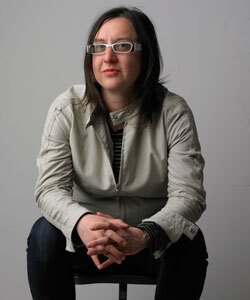 Cheryl Furjanic is an award-winning filmmaker whose films have screened at 100+ festivals worldwide and on television. Her first feature documentary, Sync Or Swim, received numerous awards including a Billie Award for Journalism from the Women’s Sports Foundation. Furjanic holds a BFA in Film & Television from NYU’s Tisch School of the Arts and a Masters degree, from NYU/Tisch’s Interactive Telecommunications Program (ITP). She has been teaching documentary production at New York University for over a decade. She has yet to attempt diving or synchronized swimming. Will Sweeney is a writer, producer and director based in New York City. Will was a producer on the award-winning The Royal Tenenbaums and has worked in production and development at Miramax Films and Walt Disney Pictures. 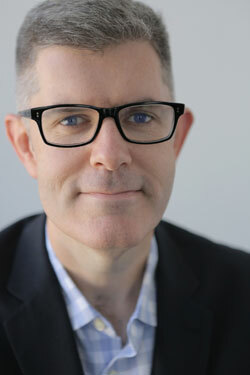 With an emphasis on story and character development, Sweeney has worked on dozens of major motion pictures including Rounders, The Cider House Rules, and The Squid and the Whale. Will also runs the New York division of Colorlab Film Corp, a leading film preservation and digital post-production facility. Will graduated from the New York University-Tisch School of the Arts with a degree in Film & Television production.